Violence has always been a part of Ireland; as the authors of Making Sense of the Troubles write, “Ireland was born in violence. "1 As the conflict escalated and became more complex so did the violence. As a result, the IRA resorted to bombings as a scare tactic, intending to send a non-casualty message to the British government that the people of Ireland had enough of British rule. The IRA began their bombing campaigns in Northern Ireland targeting different British military outposts and convoys. In 1973, the bombing campaign expanded to England where the IRA gained international attention. Moving to England made the IRA bombing more personal for the British people and the government, for the simple reason that the violence was brought to their doorstep. In order to reduce casualties, the IRA would warn British police to clear and evacuate buildings and the surrounding area of the target. Most of the instances in which casualties were high resulted from when bombs malfunctioned and were detonated prematurely. Note: There are many different splinter cells that have emerged from the IRA, such as the Real IRA (RIRA) and the Provisional Irish Republican Army (PIRA). Both of these splinter groups use more guerrilla fighting tactics and have claimed responsibility for many of the bombings throughout the troubles. Bombing campaigns of the IRA is one of their most extreme actions. There is much controversy into whether or not the actions for the IRA are justified. Regardless of whether the IRA considers their actions just or not there is no way of getting around the fact that they fit the category of terrorism In The Psychology of Peace terrorism is described as a "nongovernmental but well defined organizations whose fear -causing violence is motivated by political or religious policy goals, not simple greed"2. The IRA bombing campaigns fit this description of terrorism: by setting off bombs in crowded areas, the IRA causes fear in the British public. The goal of the IRA bombings is to achieve political goals, particularly Ireland’s emancipation from British rule. The IRA members used a psychological term referred to as doubling Doubling is when people are put in extreme situations they create two identities, one that does the killing and the other a good family man. IRA members were considered to be killers while participating in violence by setting off bombs or protecting barricades. When IRA members were not participating they were with their families, returning to normal lives and rying to protect loved once. When IRA members set off bombs they were doing it to get Britain's attention and were not thinking about the innocent lives that may be endangered by their extreme actions. Another Psychological aspect that is related to the IRA bombings is the effects of violence on nonparticipants. Most of the bombings that happened in England were done in public areas full of innocent bystanders. 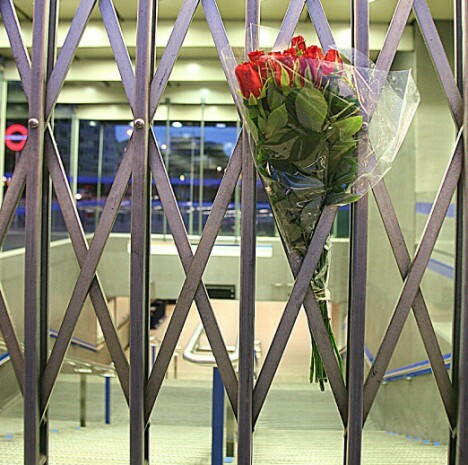 Seeing a traumatic event such as a bombing will affect the people seeing the event in many different ways. According to Psychology of Peace, there is a wide range of ways that an individual will deal with witnessing an event such as: showing sings of denial and social referencing. Social referencing is when people take “cues from the reaction of others to determine whether something should be reacted to as an emergency or not.”3 In the case of IRA bombings a sense of panic and stress was the overwhelming reaction that the nonparticipants felt. The Appeal of War makes war and fighting sound more attractive to people who would normally be against violence.4 Nonviolent terminology is used to entice people to join the cause. Making people feel as if they are part of a group, as if their life has a purpose. “Redirecting anxieties toward a more comfortable target.”5 and “anxiety of uncertainty vanishes when war hysteria arrives”6 are both examples of the appeal of war. The IRA uses posters and flyers to spread their message reaching out to individuals who are angry and confused about the situation in their country. These individuals have the opportunity to join an organization that gives them a voice and the tools to fight. In 1973 there was a bombing of King Cross in London, England. This bombing incident consisted of two different explosions. The first explosion injured 5 people. The second explosion occurred about an hour after the first one injured 8 people. 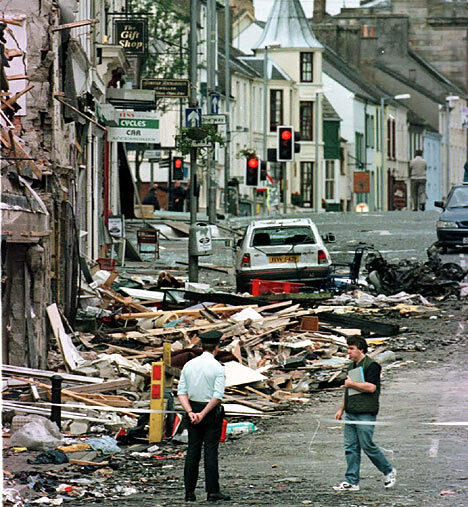 The bomb that was used was a 2-3 pound bomb, which is a trademark of the IRA. There was a call that was placed to Scotland Yard warning people of the bomb and when it would be detonated. Witnesses of the explosion were in awe of just how much damage and loss of life there was due to the bombing. On August 27, 1979, there was a 700 kg fertilizer car bomb in Warrenpoint near the Northern Ireland border. The bomb was targeted at a British convoy carrying supplies and troops. 18 British troops were killed in the explosion.12 The IRA studied how the British were moving supplies to and from Northern Ireland for weeks. 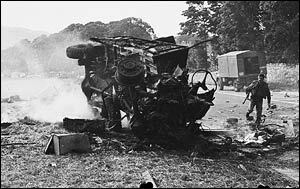 After studying the route the IRA decided to use two bombs on the road to ensure that the convoy was fully destroyed.13 This bombing sent a very clear message back to the British government.